I would love to start celebrating Galentine's Day, as a way to celebrate with my crafty friends! Most of which I have met online and never get to see, but they still mean so much to me. Since I hurt my arm awhile back, I was out of commission for awhile...and then, winter...even though it has not been very cold here in North Carolina. I'm just a big baby with all the gray days. I have a few crafty friends that have sent me cards and gifts, and I am really behind and returning the love. This will be the perfect way to send cards and gifts back! If I have any chance of doing this, it has to be a quick and easy card. I always have the best of intentions, but no joke, I have palettes of watercolors somewhere lost in my craft room...that had been drying and waiting to send with the *perfect* card, etc. With this quick card, I can easily make multiples, and quit waiting to find said palette. If you saw my recent YouTube Video for Rainbow Valentine Card, you now know what the otter was for! ;) I thought I could easily turn that card into a Galentine's Day card as well. To make the Galentine's Day card, first I stamped out the MFT Valentine Wishes. I simply masked off the V in Valentine with scotch tape. Then inked it up with Versafine ink, and used my MISTI to stamp it onto several cards. Then lined up the G from MFT Handwritten Holiday where the V was, while masking everything but the G off. Then stamped it with Versafine ink as well. I heat embossed it all the stamping with gold embossing powder. Then I stamped the otter from Otterly Love You with Gina K Amalgam black ink and colored with Copic markers. 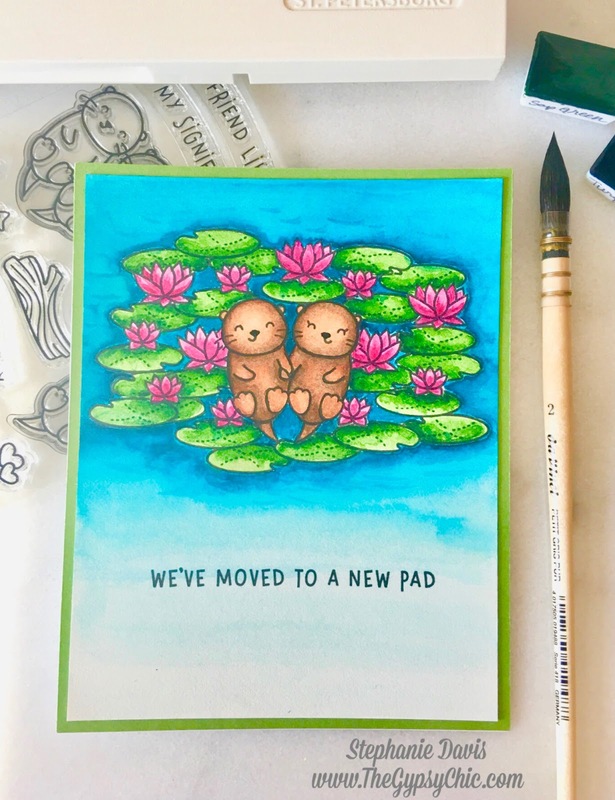 I added the otter to the inside of the card. I will add bunnies or coffee stamped images, to personalize the inside of each card according to the taste of the recipient. Next on the hop is the super talented Amie Kiger! 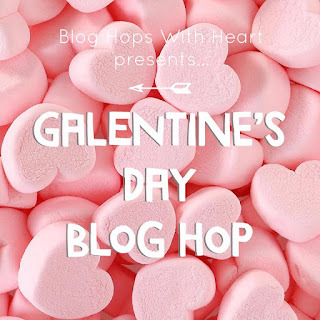 So hop on over to her blog for more fun ideas on celebrating your best girlfriends, crafty or otherwise! *Affiliate codes listed when available, at no additional cost to you! This means I receive a small commission when you use these links. Some products are sent to me by the manufacturer. Most products I have purchased on my own. Thank you for the support!!! I love being able to share more products with you! Hello everyone! Today I'm sharing a cute Valentine's Day card with rainbow colors! To make this card, first I stamped using the MFT Valentine Wishes with VersaFine ink unto Gina K cardstock. I then used small da Vinci Watercolor brush to paint with Finetec watercolors right over where I stamped. I absolutely love these sparkly spring colors! This gave a faux hand lettered look to the card. I painted each word in a different rainbow color, and then painted the hearts. After it was completely dry, I die cut the panel using MFT Blueprints 27. Then I stamped out the bunny from Bubble over with Joy colored it with copic markers and die cut it. I added foam square adhesive to the bunny to pop her up a bit, and positioned her like she is blowing kisses. I hope this rainbow valentine card makes my daughter smile! I did make a YouTube Video if you would like to see my process! Hello everyone! Today I'm sharing a card I created using the super cute Bee Happy stamp and die set from Hello Bluebird. I stamped the images onto vellum paper and heat embossed with gold embossing powder. Then I colored the images with Arteza brush pens and used the coordinating dies. I mounted them on white cardstock, to make to coloring show up brighter. I cut off one of the set of wings so they would show off the cute little wings better, and added some dots for detail. I placed one of the bees in the flowers, so it would appear to is having the flowers tickle him! Such an adorable stamp set!. I added a gold glitter frame to finish off my card and added the sentiment on black cardstock. Hey everyone! I'm so ready for fall, which inspired me to make this card with the gorgeous set from Altenew. This was such a quick and easy card to make. I stamped and heated embossed the images three times in gold. Then I used my Sennelier watercolors to paint the leaves. I added some gold and black flecks to the card base. Then I die cut the images and popped them up with foam tape. I added a bit of gold string and stamped the sentiment on black cardstock to complete my card. Sennelier watercolors don't get much love in the crafty world. 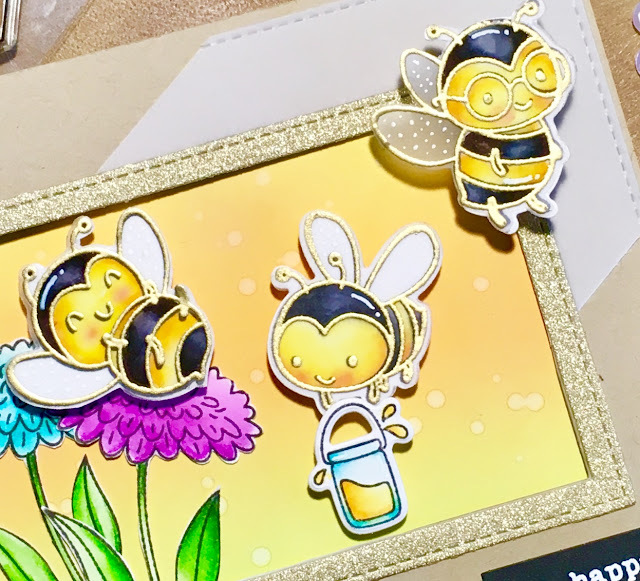 They are gorgeous honey based watercolors, which are perfect for beginners because you can layer them with out making it look overworked. I have them linked below to Amazon, but I get them at Jackson's Art Supply (as well as most of my other watercolor's except Daniel Smith). You may have to wait a bit longer for shipping, but all art supplies are MUCH more affordable at Jackson's. The prices you see are another 18% off, once you select a shipping address in the USA or Canada, because they remove the VAT. So, for all of you drooling over my watercolor collection~that is my secret! I love my Daniel Smith watercolors as well, but they are much pricier than what I can find in the UK. Thanks so much for joining me! Hey everyone! Today I'm trying to play catch up and share some recent cards I've made. We are still in the middle of our big move across the country...I'm currently at my Mom's in Missouri waiting to close on our new home in North Carolina. I brought plenty of crafty supplies with me, but am feeling a bit back in the dark ages without WiFi. Lol! The first card I wanted to share I used the beautiful stamp and die set from Gina K Designs Tropical Blooms. To make my card I stamped the floral images with VersaMark ink, masking each image and stamping again. Then I used gold embossing powder and heat set all of the images. I was stamping on Arches watercolor paper, and using the Embossing Buddy...but still found one area that didn't stamp perfect. I found the rough paper a bit harder to get a perfect image every time. So, next time I will make sure to double stamp my images. After heat setting, I watercolored the flowers with St. Petersburg White Night 36 pan watercolor set. I'm having so much fun with these watercolors! I think they are a wonderful artist grade set for beginners that doesn't break the bank, very worth the wait ordering from the UK. Especially if you aren't quite ready to buy ALL the watercolors, as I have. ;) I added a few extra colors to the original 36 color palette, so I'm sharing my personal palette colors below. These are my favorite colors, for now anyway. I find watercoloring so quick, easy and so relaxing. Which is totally what I need right now with all of our moving adventures going on! Arteza was kind enough to send me their 24 Real Brush Pens for review! I thought they would look amazing coloring the gorgeous Wonderful Florals stamp set from Concord & 9th. To make this card I stamped out the image with VersaMark ink onto Bristol Smooth Card stock. I then heat embossed the image with gold embossing powder. I began playing with the new brush pens. They have some nice colors, but I mixed the phthalo green shade with a medium blue shade to make an aqua color. I colored in all of the floral images and blended them with an aqua pen. This was quick and easy, perfect to get my mind off all of our moving chaos! After coloring I used the coordinating dies to cut out the sentiment. Then I embossed the sentiment again in black card stock to put underneath, using some craft foam to pop it up. I attached the floral image to some craft card stock to contrast from my card base. This was a fun and easy card to make, and just what I needed to get my crafty mojo back! I have a card tutorial with a full review of the Arteza Real Brush Pens on my YouTube channel! *Affiliates used when available, at no additional cost to you. All products were purchased by me, and opinions are 100% my own. Items with ** were kindly sent to me. Thank you so much for your support!!! Hey everyone! Today I'm sharing a card I made combining a few stamps sets from Neat & Tangled. 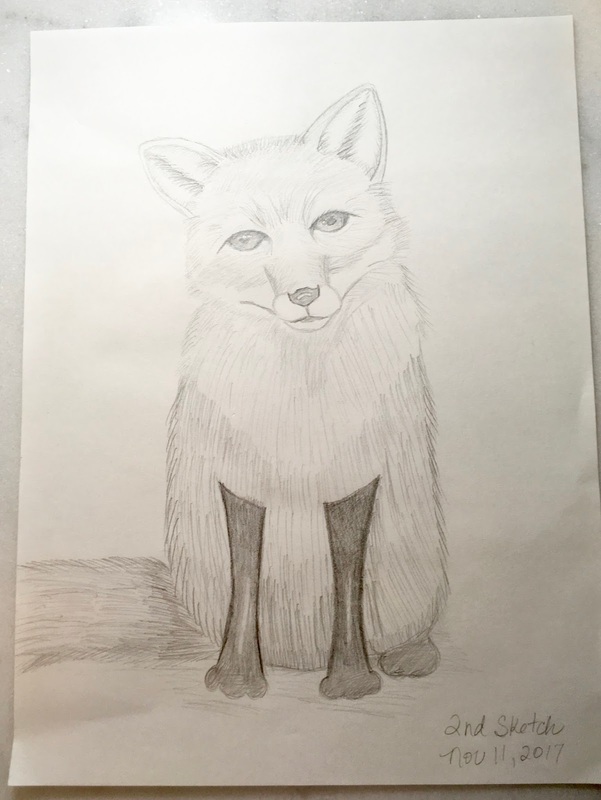 I love foxes, and couldn't wait to play with the fox from Schoolhouse. I also used images from Holiday Baking and Elf's and their Shelf. I masked many of the images of with masking paper, and then colored them all with Copic Markers. Then I used Nuvo embellishment mousse along with the Tim Holtz Bricked stencil to create my background. I'm playing along with the Little Tangles Gift Giving Challenge, this would be a great card to pop a gift card into. I hope you join along! I also hope you all make the nice list this year! Hey everyone! I'm still on my marathon card share catch up, lol! Today I'm sharing a card I made awhile back using the super cute My Favorite Things Happy Pawlidays stamp set. I used a lot of masking to make this one layer card, and colored all of the images with Copic markers. This made it more time consuming...but I love the look of it! I used Handwritten Holidays for the sentiment, and used some distress inks to blend out the background as well as add the floor. I slathered on some wink of stella everywhere, and added some Nuvo Crystal drops to make the lights look realistic. I thought it turned out super cute! I did make a card tutorial, for my YouTube channel if you would like to check it out! Hey everyone! Today I'm trying to play catch up with lots of cards and videos from the last few months. I'm sharing a card a made over a month ago, so hopefully I can remember what products I used, lol! I loved the Peace on Earth stamp set, and thought it would be beautiful combined with the Beautiful day stamp set. I also had to try out my new Dr. Ph Martin's Hydrus watercolors. I used a waterbrush and quickly colored the flower. Then I stamped the pine branches with different colors of green ink to get the shade I wanted. Then I embossed each branch, so it would blend better with the other images I had embossed with gold embossing powder. I did film a process video for this card, so I should be uploading it to my YouTube channel soon. Hey everyone! 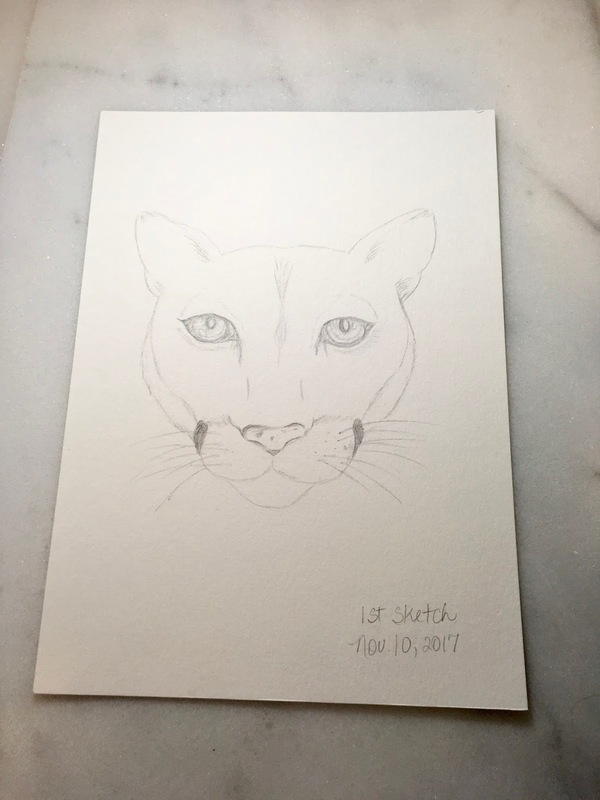 Today I'm sharing some answers to questions about what supplies you need to begin watercoloring. It is so easy to become obsessed with getting all the colors and all the brands, as I have...but you really don't need to! I'm not going to lie, it is a lot of fun to try all the colors...but I actually think I may have learned more if I started small. So, if you have more self control than I did, here are the items I wish I would have started with! I made a YouTube video if are are interested in checking it out. Here is my List of items I think is best for beginners! Primary colors from Sennelier or Schmincke brands might be more affordable outside of the USA. *Affiliate links used when available. This means I get a small commission at no additional cost to you, if you use the links provided. Thank you for your support! Hey everyone! Today I'm sharing a card I made back in October, and finally getting around to editing it for you guys, lol. 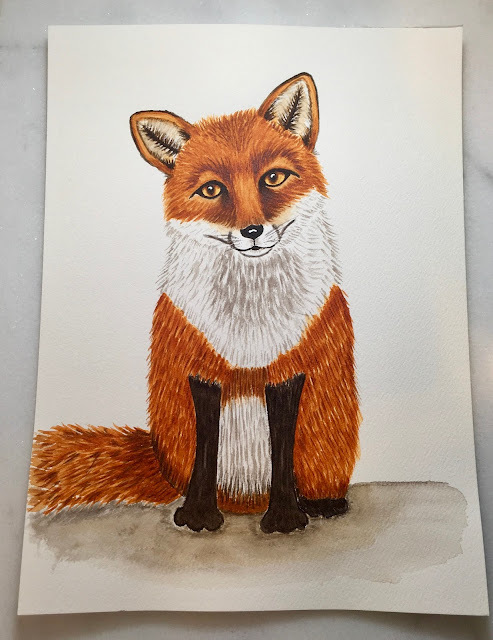 I had to start making Christmas cards, and the Upon a Star stamp set from Lawn Fawn had the perfect fox stamps for me. I wanted the foxes to be looking at the star of Bethlehem at a beautiful sky. I had to try making my first Northern Night Sky background using Daniel Smith watercolors. I find them so easy to blend and control, to make a beautiful scene. 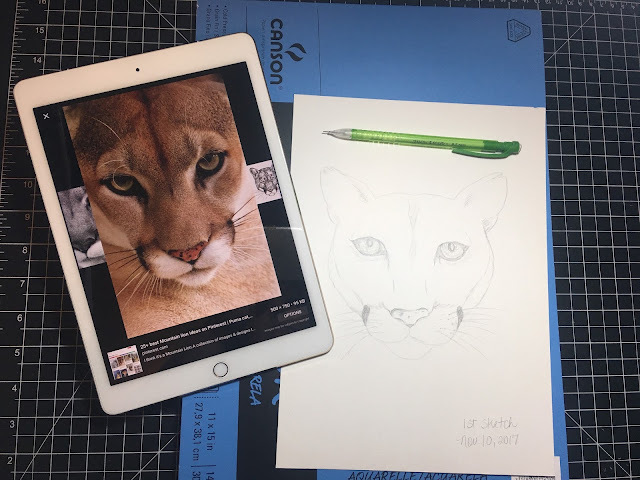 I used a picture from google as a bit of a reference, and I think it turned out pretty cool! I used several stamps and dies from Lawn Fawn, I will have them all linked below. *Affiliates used when available, at no additional cost to you. All products were purchased by me, and opinions are 100% my own. Items with ** were kindly sent to me, but I receive no further compensation. Thank you so much for your support!